At Strand Boards™ our mission is to inspire the love of surf, sun and sand. We are dedicated to bringing the ocean vibe to you no matter where you are through our surf influenced items. Whether you're washing off the sand from the ocean or chlorine from the pool, with a Strand Boards™ outdoor shower you can do it in style. We proudly design and manufacture right here in sunny Manhattan Beach, California. 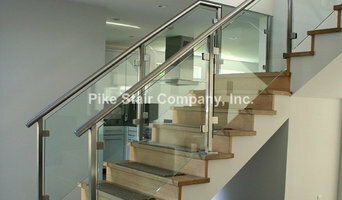 Fabrication & Installation of custom staircases using combinations of wood, metal, stone, glass and more. 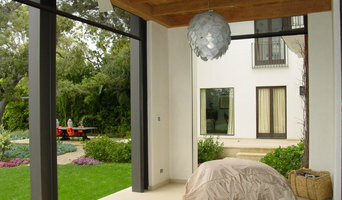 Oceans Aquarium designs, installs, and maintains custom aquariums in the Greater Los Angeles Area. We specialize in saltwater and living reef aquariums. We specialize in high quality Rain Gutter Systems. We offer a variety of shapes sizes and colors to match each customers personal taste. We offer Seamless and Sectional Modern and Traditional shapes, Contemporary shapes, Round gutters and custom designs as well . Our newest shape is 5 and 6 inch seamless box gutters. We offer all of the popular materials including Steel, Aluminum, Copper, Anodized Aluminum, Brass, Stainless steel,and Zinc. Our customer satisfaction rate is amongst the highest in the industry. We have the referrals to prove it. We feel that our customers are entitled to the highest standards when it comes to materials and installation techniques . 24 Years in the rain gutter business has taught me what works and what doesn't. at A- Plus we want your experience to be highly positive. 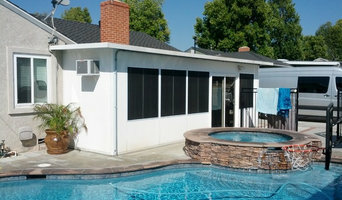 We try to always achieve this by Quick responses/Estimates, Friendly and competent Customer Service, Patient and informative estimates, Wide selection of gutter options, Safe and highly trained installation crews and Fair and Reasonable prices.If you are looking for Rain Gutters in Los Angeles or Orange County, Give us a call or contact us on HOUZZ and we will be happy to Answer any questions that you might have or provide you with a 100% Free Estimate. We have technicians Nationwide / nearly 30 years in business / Eco-Friendly / Skilled in the stain protection and cleaning of Fine Fabrics; our product is a Non-Toxic, Hypo-Allergenic, Anti-Microbe, Light, Non-odor 'Clear Polymer'; it is NOT a harsh chemical and NOT a silicone base which can turn yellow over time; most importantly: our product will not harm the environment, children or pets. NEW FORMULA HAS AWESOME FEATURES: We are very excited to introduce our new STAIN FREE II formula (Nov. 2012); Our search for a new formula was driven by a desire to provide a more eco-friendly chemical without losing stain resistance and ultra-violet protection; The new STAIN FREE II actually exceeded our expectations. New features/benefits: ANTI-MICROBIAL; Resists Mold, Mildew & Bacteria; MOTH CONTROL; Prevents moth damage to wool rugs / fabrics; FLUORO-LOC: Some pre-treated fabrics contain harmful fluorocarbons that are released when cleaned; The Fluoro-Loc feature permanently locks into the fiber while providing superior stain and soil resistance; ADVANCED ULTRA-VIOLET PROPERTIES: providing greater sun fading protection; PROTECTS BOTH FABRIC; NON-OZONE DEPLETING; ENHANCES DYE STABILIZATION. We design, manufacture, and install all kinds of ornamental ironwork for both residential and commercial applications! We are a custom sheet metal fabrication shop with over 20 years of experience in multiple states. Specializing in high end custom homes in Southern California, we enjoy working directly with architects, designers, and homeowners to help create beautifully unique features to bring your vision to life. From our own superior solid rod stainless railing system (superior to cable railing), one of a kind kitchen hoods in a variety of materials and styles, bar tops, cabinetry accents, fountains, sculptures, decorative restaurant features, to medical grade projects etc... we can meet a variety of needs. Established in 2015. LA Concrete Works is over thirty years in the making. It was started with one goal, to pair the most talented craftsmen and passionate artisans with the appropriate projects in order to create the perfect blend between concrete installations and their environments. We have made a collective commitment to "go back" to our roots, where the essence of our best works has come from. Our efforts are focused on a shared objective... your project. Nowadays, architects and designers are pushing the envelope, coaxing as much out of concrete as they can. It is with our unique team that we are able to help them achieve their visions. The Right Choice Heating and Air has provided services to homeowners, landlords, and business owners for many years. Our company is devoted to all matters related to heating, ventilation, and air conditioning. We provide thorough and professional assistance to ensure that all of our clients are satisfied. We continually educate our employees on how to practice proper safety methods, as well as about new technology that appears on the market. Our team is dedicated to all of our clients and their well-being. Rest assured that all of our technicians are highly trained and will do everything in their power to provide fast, reliable, and honest work. We offer an extended service program known as the Club Plan for our customers. From our Diamond to Filter Replacement Plan, we offer plans that will fit your budget – helping you save both time and energy. Quality Concrete Floor Leveling Inc. Specializing in self leveling toppings & underlayments. We are certified with over 25 years experience. We offer concrete resurfacing, decorative & designer concrete floors, substrate repair - over wood & concrete, concrete staining & sealing, concrete polishing, moisture systems, epoxy floor systems, prep services - grinding, shotblasting, etc and floor leveling. S. S. Metal Fabricators is a supplier of CUSTOM MARINE & ARCHITECTURAL HARDWARE since 1983. The Company is dedicated to the highest standards of quality and the development and application of new and creative design solutions. S.S. Metal Fabricators also provides an array of polishing services, as well as portable welding, on-site fabrication and installation. Our portfolio includes: Rail & Stair Systems, Gates, Doors, Furniture, Handrails, Accent Pieces, Support Systems, Modifications and Art Work. Call us with your metal fabrication ideas! Whether you’re looking for a team of Norwalk, CA professionals or a handyman for a small renovation, you’ll find dozens of professional profiles and contact information for specialty contractors here on Houzz. Here are some related professionals and vendors to complement the work of specialty contractors: General Contractors, Landscape Contractors, Architects & Building Designers, Interior Designers & Decorators, Kitchen & Bath Designers. Let’s say you want to install custom wood flooring in your dining room, and you’ve found a Norwalk, CA company with excellent reviews. Next you’ll want to contact the company and make some inquiries. Find specialty contractors on Houzz. Look in the Professionals section of our website under Norwalk, CA specialty contractors, then select the nearest metro area for a contractor. You can also look through California photos of completed projects to see how a contractor might approach design challenges.